When Iggy Corso gets kicked out of high school, there's no one for him to tell. His mother has gone off, his father is stoned on the couch, and because the phone's been disconnected, even the social worker can't get through. So he leaves a note and goes out to make something of his life, but that's not so easy when you're 16, living in public housing, have no skills, and your only friend is a law-school dropout who's thinking about joining the Hare Krishnas. But Iggy is...Iggy, and he's got the kind of wisdom that lets him see things no one else can. 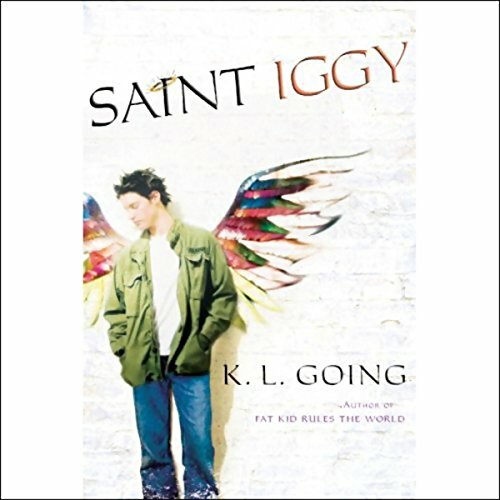 In the week leading up to Christmas, Iggy travels all over the city, finding himself in the lap of luxury, the grayness of a never-ending drug party, the haven of a chapel, and finally at the door to a choice that will change his world forever. I don’t know why the books by KL going that appear here on Audible aren’t bought/read more, because they are really astute, down-to-earth, and special stories about kids with challenges who are transcending them in very unique ways! This book is no exception to that. It’s impossible to put down, and the details of neighborhood and character are so vivid they are almost painful, you can just about touch them. I only have one challenge with this book, which is that the protagonist has to die at the end. It doesn’t make the book any less beautiful, but I think in reading it, it’s important for us to explore why. I would recommend this book to anyone who wants to read about kids coping with the challenges of family and acceptance, and who just wants a page turner that is even more astute that it is riveting. Just watch out for the end… and enjoy every minute! I really loved the story, how it was worded. I related so much I almost cried. I enjoyed this book alot. It kept me hooked though to the end.